Two bedroom and two bathroom apartments at Pacific Regis are large, spacious and fully equipped with every convenience for a comfortable and relaxing stay. PLEASE SUBMIT A BOOKING REQUESTS FOR ACCURATE PRICING AND AVAILABILITY! Looking for a budget family beach holiday? 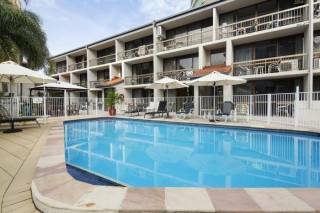 Pacific Regis has got the best spot in Burleigh, with a prime Burleigh beachfront. 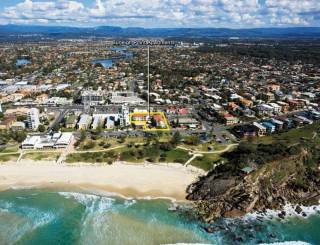 Set in a relaxed and peaceful environment yet within easy reach of major shopping, dining and entertainment venues of the Gold Coast. 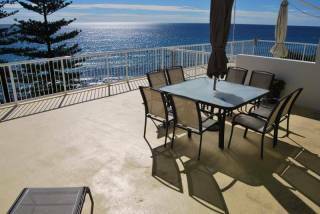 Fully self contained apartments and all the facilities required to ensure that you have a relaxing and enjoyable Burleigh family beach holiday. A short walk to everywhere Burleigh - the flagged beach, the Burleigh Hotel, Burleigh shops, Burleigh Surf Club, Burleigh Bowling Club. The very best coffee shop in Burleigh is just 60 metres from our front door, and it is also a short walk to the famous Burleigh cafe block. So the next time you get in your car is when your holiday is over and you are on your way home. And we have very competitive tariff prices. Note: On check out day all ground floor and garden facilities may be used until 5pm. i.e. 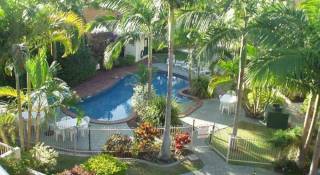 pools, BBQ, outdoor showers, etc. Cancellations will not be permitted for any reason. Once confirmed, a booking cannot be refunded or altered in any way, and the deposit is not refundable. If a booking is sought to be changed, and in the interim a tariff increase has happened, then the altered booking will be done at the new tariff rate.